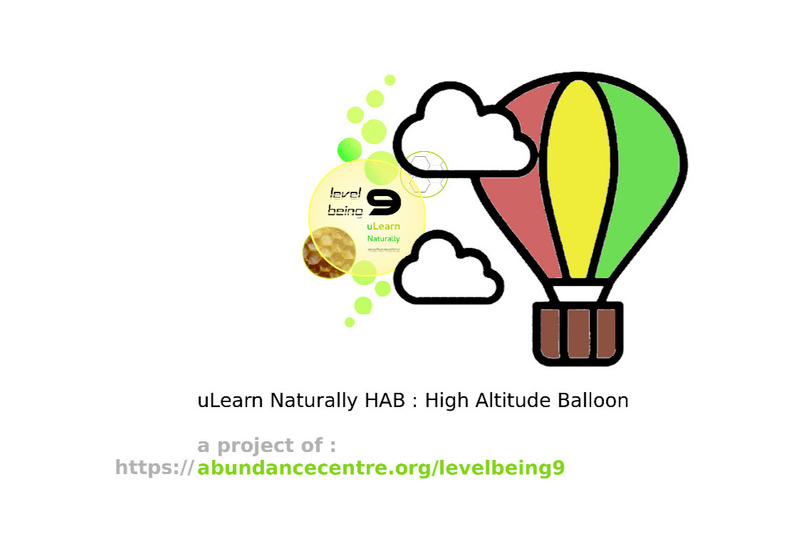 Our learner co-op is preparing to launch a High Altitude Balloon (HAB), this is a great STEAM learning project. STEAM, that's STEM + the Arts. We are using the project to learn about Science, Technology, Engineering, the Arts and Maths. 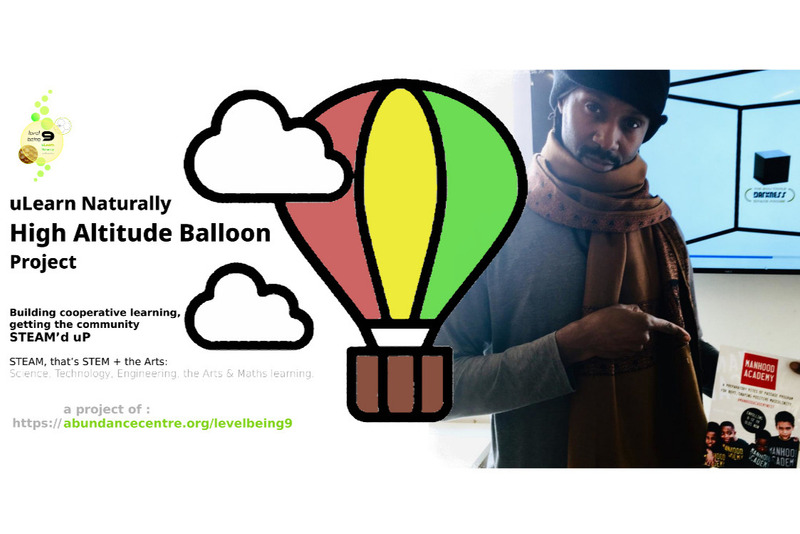 The project is part of our Level Being 9 uLearn Naturally GCSE Maths programme; https://abundancecentre.org/levelbeing9. 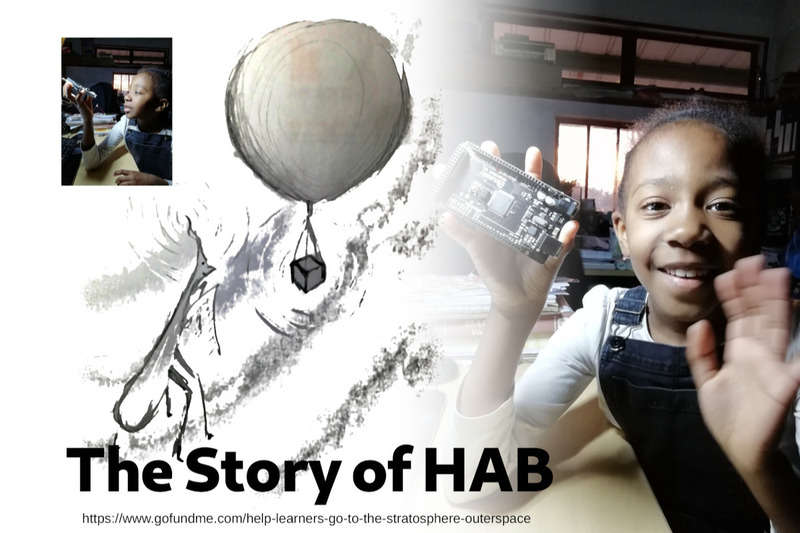 There are some relatively costly HAB components/parts that we'd like your help with getting so that we can launch our high altitude balloon this month as part of the Global Balloon Challenge 2019. Through this our cadets are also learning about fundraising. - basic motherboard and components for connecting the parts. Cadets, work placement students and families through classes, project team management and social engagement events. Please help us cover these final costs now so that our teams of cadets (5y to 19y), their families and our science engagement work placements can all focus (in One mind) on completing this absolutely wonderful learning experience. There will be many great outcomes that we will share with you; children preparing for space travel, videos and customised learning resources, teams demonstrating capacity to manage bigger cubesat projects, camera views of the edge of space, review social events to share the findings and learning experiences in edutaining ways, collaborations with other community organisations throughout our networks. This fundraising goal is relatively small. 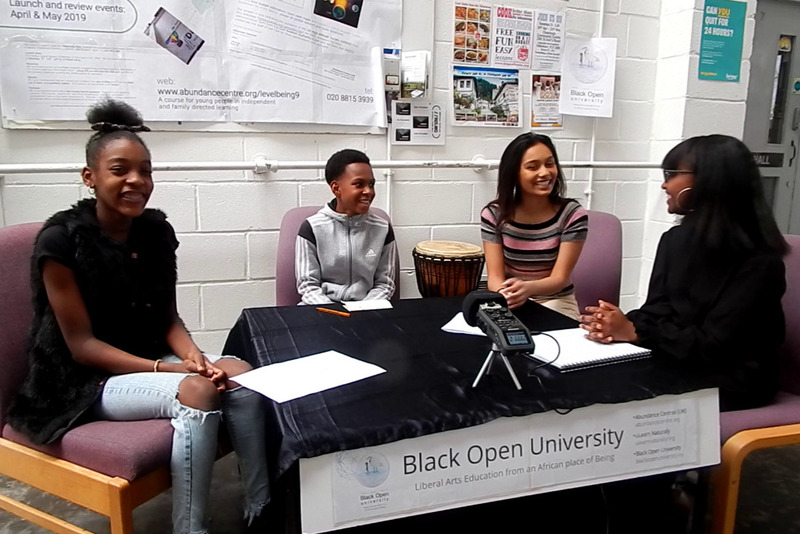 Funds raised beyond it will be directed to our Triple Darkness Space Probe project: https://abundancecentre.org/spaceprobe . The TDSP project requires approximately £108k, intial funds will support our cadets with the full logistics and venture planning. We are strengthening the brilliance of children in our communities in very unique, ground breaking and effective ways, please help as best as you can and as swiftly as possible. We are hoping to complete and go beyond the fundraising goal within 1-2 weeks. We need your support, thank you. On this day i Fire Mantis, Ursat Abit, the beastmaster will see beyond, today i will be the first of my kind and generation to leave this earth and touch The Triple Darkness. Abit rocked from side to side meditating on the HAB components from inside Payload One. You see Abit is a very wise creature and one hard to perceive, he had moved into the payload when the children were not looking, perfectly in the middle of their combined blind spots. There, in the payloads between the first and the second abit had found the most stable point and entered his special instar nap, a cyclical journey of transformation and graduation. With the turbulence of the launch and the changing temperature he awoke, as intended, now the One at the helm of this magnificent spacecraft. The HAB was still rising… 1 kilometre (1000 metres) and counting. Abit’s enigmatic spar was outside, gliding, spiralling, up up up.. As planned Wuha Winchi the Water Crane had used her special powers to help direct the air currents from near and far, she was like a conductor of music. Abit felt her presence, now to make visual contact would need to be done through the onboard cameras. The HAB rose, pulling with it its train of parts; the terminator unit, the parashute, the master container carrying payload one and payload two inside and the radar reflector unit. The master container was a black box and inside its containers stood Abit, the spacecraft rocked with rigorous constantly turbulent and chaotic movements yet Abit was not disturbed. The mantis is made for such challenges, self-perfected gripping abilities. Anyhow Ursat Abit had done detailed weather predictions and so his gentle rocking motion was expressed in a rhythmic dance, apparently chaotic too, that perfectly complemented the buffeted craft ascending towards the stratosphere. Abit tapped into the Arduino module to access the wifi signal from the Crosstour camera, he quickly interpreted the data into a sensible form from which he could visualise the camera’s view of the outside world. It was partially cloudy but with the craft moving in the fashion it did the I caught regular glimpses of the ground, the earth. What a picture, to see the earth as if in retreat, the craft making a bid to escape the grip of gravity, the balloon was performing with good consistency. One gas harnessed for its atomic lightness used to pull the I up, right into outer space. Abit began to question what terms like outer space really meant. Patrons get more; get previews of this emerging story 1st and in an easy to view format. Johnny the “Beastmaster” and his sister Maryam “The Mirror Girl” were deep in concentration, this was it, the day of the test. They and their friends had prepared for many months to launch The Balloon. Being well beyond the average adventurous child their minds were expanding with newly consolidated and emerging science, “Well what d’ya know! At last...” said Johnny, deep in thought Maryam knew they were ready, time to fly. The flight prediction app had been predicting problematic flight paths for their high altitude balloon, but now, with the season change well passed, the moment had come. Johnny knew what that meant, the whole atmosphere of their play area transformed in a flash. Now they were in their own MCC-X, SpaceX's Mission Control Center in Hawthorne USA, visualised virtual displays popped up as the concentration focused towards perfection. These two were as serious as it goes with any of the professionals in NASA or SpaceX, they knew that they couldn't have done it without the team. “Payload Container Two”, “Check !” . . .
Their voices alternated perfectly to the point as they flowed through the comprehensive checklist. All was in order. They had always wished that the United Kingdom had such an accessible space industry, but unfortunately us Brits just don’t yet seem to have the best vision for real space travel. More deeply than that they knew that those establishment people never saw them or their kind as future scientists. Why? Anyhow now we’re living in brexit broken Britain. Their future was in taking charge of their own learning, their own futurist capacities, their own life adventures and freedoms to be. Johnny looked deeply into Payload Container One, embedded in which was Payload Container Two. He saw the sensors for temperature, altitude and pressure. He saw the cameras, ready for action and the heat packs. As he looked through the central processing unit (CPU) and motherboard with all the components connecting, matrix like, his vision brought him into the atomic realm. He felt the ebbing flow of charge with his eyes and heart centres. This sea was deep, It was mesmerising, curiously inside this one black box was a whole world, well actually, he thought, this is a portal, a gateway’s gate. Inside the black shell was now more like a mini control room, only there was nobody in there at the helm. As he looked deeper and deeper he started to realise, for the first time, that they had built a truly powerful spacecraft. He longed to be the One going up with the HAB, the high altitude balloon, to the edge of earth's first atmosphere (the troposphere)… entering… outer space… the dark beyond.